Chief Financial Credit Union is thrilled to announce that Lindsey Daines, Vice President of Culture & Human Resources, has been appointed as the Vice President of Membership for the Rochester Community Schools? PTA Council and the Vice President of Committees for the Baldwin Elementary PTA. As part of its mission to inspire creative philanthropy, Chief Financial Credit Union recently announced the first-ever ?Live Beyond the Label? Scholarship, awarded to students within Rochester Community Schools who have benefitted from special education programs and are seeking to attend college. When Cheryl Boodram made the transition from restaurant manager to part-time teller in 2010, she never imagined she would be named Vice President seven short years later. She also never dreamed of being in a class of the most elite professional individuals in Oakland County. Rochester Regional Chamber of Commerce recently named Chief Financial Credit Union's Business Development Manager, Ashley Chambers, Ambassador of the Month. This year, Chief Financial has decided to use their Casual for a Cause funds to adopt families for Christmas and each team is helping families from their local communities. Families in the Dearborn, Pontiac and Rochester areas will all have a lot more presents and even a new washing machine under the tree thanks to their efforts. The Mayor's Business Council Champion Awards were presented to individuals recognized for their overall performance in the past year, be it: overcoming an obstacle, experiencing tremendous growth, expanding operations, launching a new successful technology, celebrating a milestone, or giving back to the community. This incredibly generous donation will allow for the development of a one of a kind water feature that will serve as a focal point of the new park. The striking water wall will showcase the beauty of moving water over natural slate and welcome each and every guest to the region?s most innovative and beautiful new park. "It all starts with team; our employees make everything we do for our members and our communities possible,? said Tom Dluzen, Chief Financial Credit Union CEO. ?Doing the best we can for them is one of our highest priorities and we have made great strides towards having an innovative corporate culture, the recognition from the Rochester Chamber is confirmation that our efforts are showing." Chief Financial Credit Union is proud to announce that it has been ranked in the Top 200 Healthiest Credit Unions in the United States and the healthiest in Michigan. Chief Financial went from not making the Top 200 in 2016 to coming in at 36th healthiest credit union out of over 10,000 financial institutions evaluated in the U.S. in 2017 and number 1 out of 230 credit unions evaluated in Michigan. ?Live Beyond the Label Scholarship? for Students with ADHD or Emotional Impairment. The ?Live Beyond the Label? Scholarship was established in 2017 by Chief Financial Credit Union to award an academic scholarship to those graduating seniors who have succeeded in rising above their challenges to achieve success in and out of the classroom. As a part of Chief Financial Credit Union?s mission to be ?more than money?, they are excited to offer local companies and organizations a relationship opportunity that ?connects? their employees to the credit union?s products and service in a ?cost-free? and convenient environment. Chief Financial Credit Union was honored to be the first ever Presenting Sponsor of Bras for a Cause. The fabulous, fun and uplifting evening at the Royal Oak Music Theatre featured beautiful, courageous and inspirational breast cancer survivors. Community programming and construction on the Lake Norcentra Park project at Rochester College will begin this spring with the support of 2016 presenting sponsor Chief Financial Credit Union. 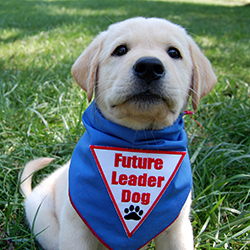 Chief Financial Credit Union and Leader Dogs for the Blind today announced a new sponsorship agreement making Chief Financial the official credit union of Leader Dogs for the Blind.